Posted by Teresa Mihelic HelpDesk on Wednesday, September 19th, 2012 at 11:39am. 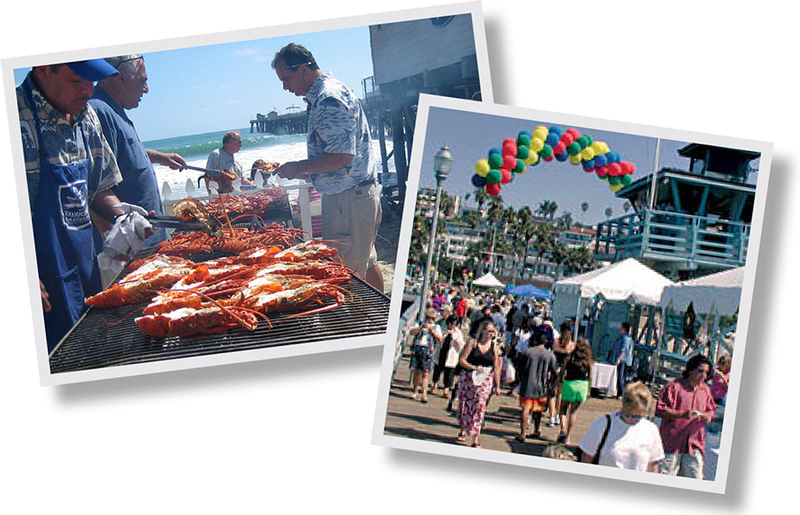 This beautiful fall event held every year for the past 24 years in a row will be coming once again to the Pier area in San Clemente, with a traditional chowder cook-off, Fisherman's Lobster, surfing contests and art and business expos. 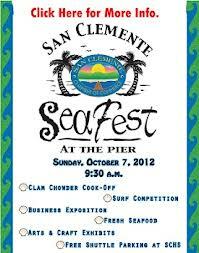 The San Clemente SeaFest is famous for its Chowder Cook-Off Competition held on the historic San Clemente Pier. Area citizens, restaurants, and businesses contend for the best tasting chowder this side of New England. Visitors arrive from all over the county to sample the many unique variations of Chowder. Want to sample some great seafood? Fisherman’s Restaurant and Bar will be serving a variety of their culinary delights right on the beach - fresh seafood such as lobster, Oysters on the Half Shell, crab, steamed mussels and clams and much more. Looking for homes in this area? Check out our San Clemente Real Estate Page. The 16th annual SeaFest Surf Contest is back and bigger than ever. This exciting event features local amateur surfers competing for a variety of prizes and trophies. Please contact the San Clemente Chamber for an application. With an audience of over 3,000 people expected to attend, the Sea Fest Business Expo is a great opportunity for businesses to highlight their goods and services. The Expo gives companies direct contact with numerous potential new customers in a single day! The SeaFest will feature an arts & craft show. This exhibit showcases only handcrafted merchandise from talented individual from Southern California.The event will also include the United States Coast Guard Search and Rescue performing a Demo Operation, face painting, Balloon Art and much more. Free shuttle parking is available at the San Clemente High School, 700 Ave. Pico. from 10:00 a.m. until 3:00 p.m.